​Jan Purser uses a variety of tests where possible to help her clients reduce and maintain their weight. Using the results of these tests, she then prescribes the best type of effective weight loss / fat loss diet to suit the client's genetic influences and lifestyle. Being a foodie, Jan is very aware of the difficulties in combining a busy social lifestyle and keeping healthy at the same time. She is a seriously good coach and offers all kinds of hints and tips to help you along the way with your weight loss program. Jan may recommend a diet based on a lower carb focus or a Ketogenic style diet. For people who have much difficulty in reducing body fat, she may recommend the HCG Fat Reduction Program which is very effective in shifting stubborn body fat while maintaining good muscle mass. 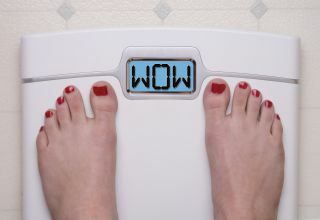 Some people find they manage better on the Fast Diet program (Five : Two Diet) particularly if their social life makes full time restricted eating difficult. During your weight loss / fat loss program Jan monitors your progress using bioimpedence testing to make sure you are reducing body fat and retaining muscle. Loss of muscle can add to a weight problem so this part of Jan's consultations is crucial to your success along with weekly food diaries and follow up consultations during maintenance. During your weight loss program Jan will also help you determine what foods may be contributing to inflammation and imbalance in your body and which may be contributing to weight issues. Body composition testing - Jan uses this test at most consults to keep track of your body composition changes. Fasting blood glucose and insulin - to determine if you have insulin resistance issues affecting how your body can burn fat for energy. Comprehensive DNA testing - includes the body composition and fat mobilisation profile showing your genetic influences. Leaky gut (hyper intestinal permeability) test - because a leaky gut is like a dripping tap of inflammation in your body and can lead to food intolerances, weight issues, poor immune function and more. Saliva hormone testing - hormone imbalance affects your body composition. Basal temperature test - showing the effectiveness of your metabolic rate. Thyroid function tests - a sluggish thyroid leads to weight gain. Liver function and inflammation markers blood tests - poor liver function adds to weight issues, and systemic inflammation is often a driver of difficulty with reducing body fat. Adrenal profile saliva test - adrenal fatigue or excess adrenal hormone production influences weight. ​Part of your weight loss program with Jan includes weekly food diary monitoring to make sure you are eating the best way possible. The good part is that Jan doesn't charge extra for this "between consults" coaching. Research studies show time and again that for effective weight loss, keeping a food diary truly brings results. For your weight loss you may need to have a lower carbohydrate diet, or perhaps you need to eat a small amount of carbs. Whatever the case, Jan will be able to clarify what diet will work best for you.